Did you know? "AdBlock usage has increased more than 69% this year and experts anticipate 50% of all users will have AdBlock installed on their devices by 2018. AdBlock use is growing at an estimated rate of 45% per month." Stop losing money to users consuming bandwidth but using Ad block to stop delivering traffic to your ads. See revenue boost instantly with ReviveAds – a FREE and 100% seamless tool that allows you to bypass all ad blockers. We provide Ad blocker detection for ALL standard desktop and mobile ad blockers, circumvention, as well as monetization of the traffic. GET STARTED! 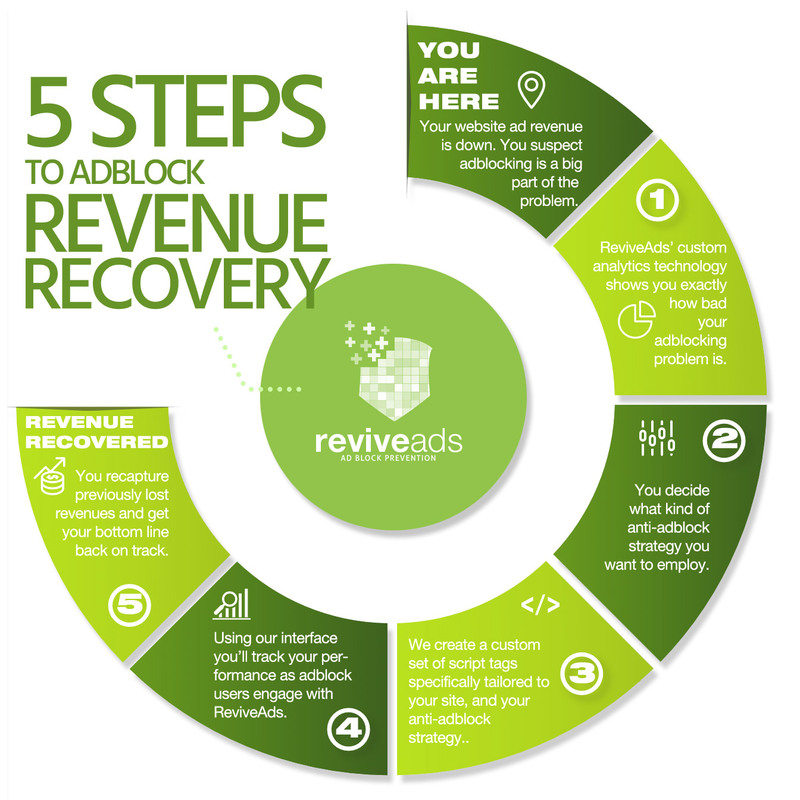 ReviveAds is the only ad block solution on the market that combines Ad Block Prevention with its own Ad Platform, utilizing its effective real time bidding system, thousands of ad block advertisers, and proven sales force. Ad blocking will cost publishers more than $20 billion dollars in 2017. ReviveAds' patent pending technologies are fighting back to preserve publisher revenues. ReviveAds is a specialized ad network which activates only when adblock is detected. "First we detect adblock ... and then we do the impossible." ReviveAds believes in preserving user choice. You don't need to force readers to view ads. The ReviveAds platform maintains user choice by offering options like premium ad-free or ad-lite experiences. 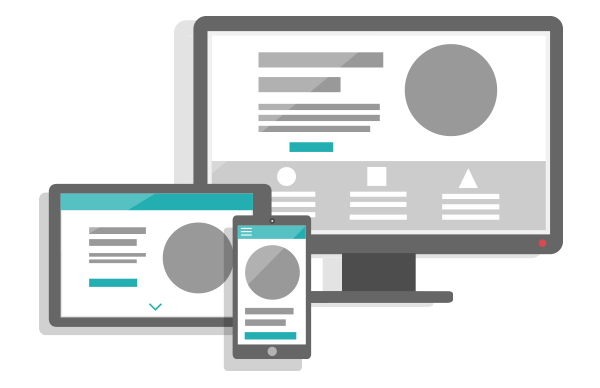 Customize your advertising and premium-content options to match your audience. Decide how aggressive your anti-adblock program should be. Setup is fast and simple. Start recovering lost revenue today. If you can copy and paste a single line of code, you can start recovering adblock revenues on your site today. Contact us today for a consultation. Your existing ad setup isn't affected by ReviveAds. If Adblock isn't detected, ReviveAds stays in the background and does nothing. If Adblock is detected and your ads aren't serving, we serve replacement ads. Using Adsense on your site? ReviveAds won't interfere with your Adsense setup. Our replacement ads only appear if adblock has been detected and Adsense has been blocked. Worried about whether or not ReviveAds will affect your page loading times? Don't be. We do our thing after your pageload has completed, and our servers are blazing fast. Start recovering revenue within minutes of installation. Ad Blocking is now up to over 30% of most sites out there on the internet. It is a nuisance, and if companies like Facebook circumventing ad blocks is not a sign of the future, then I don't know what is. If you are looking for ad block traffic, you need go no further than the inventors of the 1st ever ad block solution to be tied to an RTB. You can find all sorts of traffic types here and purchased through a self serve solution. Signup below if you are interested in advertising in this type of traffic, inquire for buying non ad block traffic as well. Is your website blocked? Download one of the many ad blocking browser extensions and test it on your website. ReviveAds maximizes your revenue without skipping a beat thanks to a single-step implementation process that assures your precious advertisements make it through blocking software undetected. Increase click-throughs, impressions, and general visibility with results you can see almost immediately without interrupting current revenue streams. Because we know how important ad revenue is to your bottom line – and keeping the Internet free for all. We have integrations across 100+ websites and counting with a 100% penetration rate across devices and ad blocking systems. We offer 6 different integration options, from subtle to extreme, that revive that revenue. Sign up today and restore the profits these ad block systems prevent your site from earning. We guarantee 100% satisfaction with the results. ReviveAds makes it easy to bypass ad blockers without disrupting your current revenue model and regains you access to 150+ million ad block users. You’ll see your ads reappear and click-through rates increase, recovering lost revenue that your online business depends on. ReviveAds is the only ad block solution on the market that combines Ad Block Prevention with its own Ad Platform, utilizing its effective real-time bidding system and sales force with 100% penetration rates. Sign up today and revive the revenue these ad block systems take from your site. We guarantee 100% satisfaction. 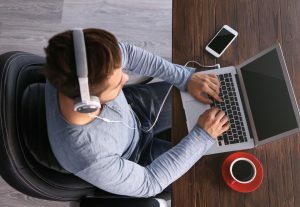 Ad blockers remove ads from all key zones, leaving webpages free of the important advertisements that help fund users’ favorite content and keep it free to watch, read, hear, and enjoy. Without workarounds like ReviveAds, content creators and website owners lose essential revenue every day and put users at risk of losing the Internet as we know and love it today.